Shot this one last fall. Forgot about it, found in Lightroom the other day and can't remember why I forgot about it. Works well in color, but kind of alright in B&W. 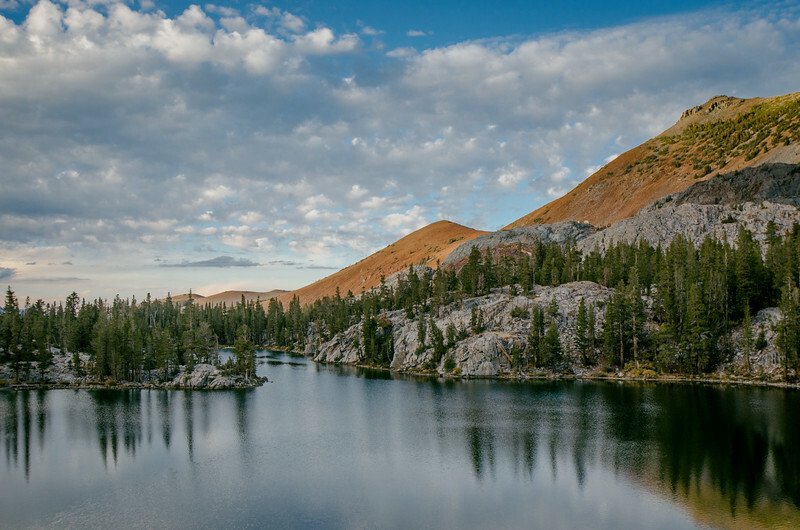 Lake is just a couple miles up Duck Pass Trail out of Coldwater Campground. I like the color version better- its' a gorgeous shot with all the colors. all due respect to A. Adams, I'm not one who thinks ELBIBAW. Especially here since you've got all the baked colors of the roof pendant rocks to contrast with the blue of the sky and the water. How did you do the black and white conversion? in the color version, the pale blue sky really offsets the reds, but in the black and white it might be interesting to use more of the red channel to bring out more contrast in the sky. Yeah, if you recognize the avatar, new user name. Very nice shot. I think the color version is better here, given the predominance of midtones. Dittos..... The textured reflection really appeals to me also. Oh Gorgeous! Love them both! Whose skeleton is it named after? Aphrodite? Hey -- thanks all. Yeah, I like the color better, too. 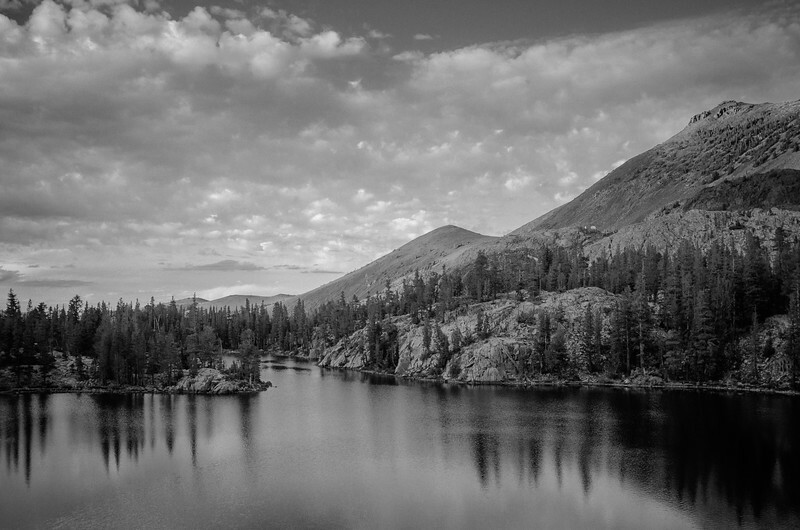 The great thing about Skelton Lake is its set against the appropriately-named Bloody Mountain; in B&W that's lost. From a composition standpoint, it's pretty hard to miss from this vantage point, with the geography neatly dividing the water, mountains and sky. It would be really great to be up there on a stormy day with more dramatic clouds. I used one of the VSCO slide film presets for the B&W conversion and then made a lot of smaller adjustments to try to save the trees from being lost in the shadows. I also used one of the presets for the color version. I just bought the presets a few weeks ago -- first ones I've bought from VSCO. They're pricey ($89 on sale). Sometimes they provide a very nice film-like effect. Other times they're just garish. In this case, they were helpful. Beautiful scene, Steve. I really like the way the color version is processed. Thanks for the kind words, Kdog!